Your Meeting Is Our Business At The Berkeley Hotel, yours will be our most important meeting! Whether you have 6 or 60 people for a business meeting or cocktail reception, we have the right setting for you. The Berkeley Hotel offers personalized attention, quiet meeting spaces, audio-visual equipment and complimentary Wi-Fi for our groups. In addition, we have 55 beautifully appointed guest rooms to help your attendees be at their best. The Berkeley is not a convention hotel, nor even a large business hotel, we are a boutique hotel with a small, dedicated staff who will attend to you as if yours is the only meeting or event going on, because likely it is. 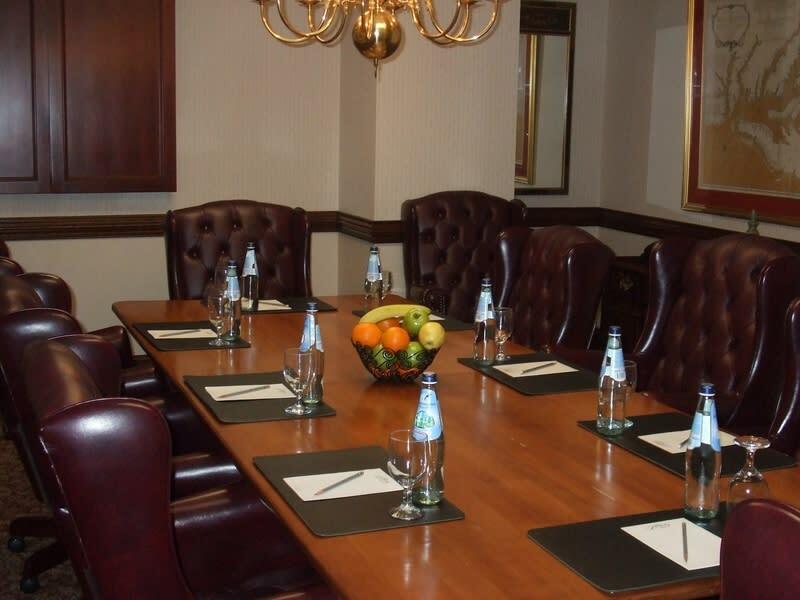 So, schedule your next meeting at The Berkeley. 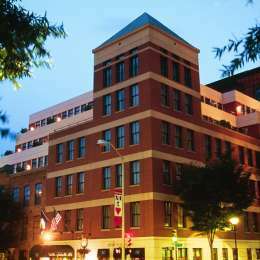 Our unique location and handsome accommodations offer incomparable meeting facilities in a historic setting. In addition to recent property renovations for guest rooms, lobby and restaurant, The Berkeley Hotel has given every aspect of its much sought-after meeting and banquet spaces a facelift with elegant new wall coverings, carpet, chandeliers and sconce lighting. Whatever your meeting, banquet and private dining requirements, The Berkeley Hotel will exceed your expectations in a professional and proficient style. Hours (General Information): The Berkeley Hotel is open 24 hours a day, 7 days a week. Description Your Meeting Is Our Business At The Berkeley Hotel, yours will be our most important meeting! Whether you have 6 or 60 people for a business meeting or cocktail reception, we have the right setting for you. The Berkeley Hotel offers personalized attention, quiet meeting spaces, audio-visual equipment and complimentary Wi-Fi for our groups. In addition, we have 55 beautifully appointed guest rooms to help your attendees be at their best. The Berkeley is not a convention hotel, nor even a large business hotel, we are a boutique hotel with a small, dedicated staff who will attend to you as if yours is the only meeting or event going on, because likely it is. 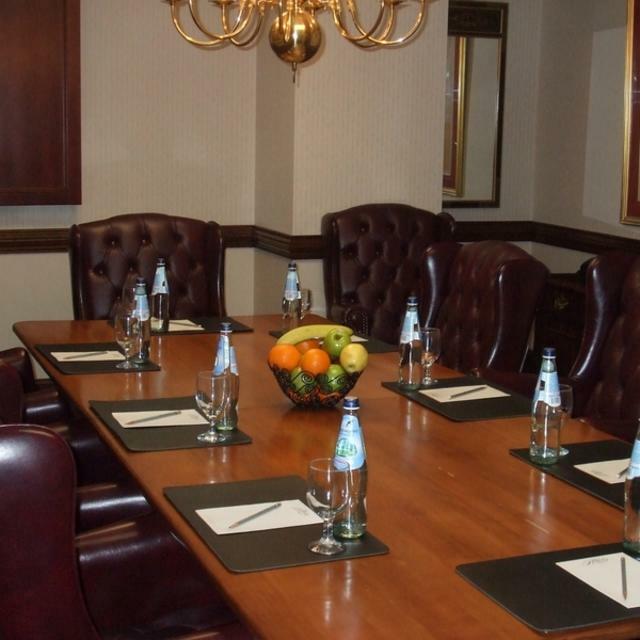 So, schedule your next meeting at The Berkeley. Our unique location and handsome accommodations offer incomparable meeting facilities in a historic setting. In addition to recent property renovations for guest rooms, lobby and restaurant, The Berkeley Hotel has given every aspect of its much sought-after meeting and banquet spaces a facelift with elegant new wall coverings, carpet, chandeliers and sconce lighting. Whatever your meeting, banquet and private dining requirements, The Berkeley Hotel will exceed your expectations in a professional and proficient style.